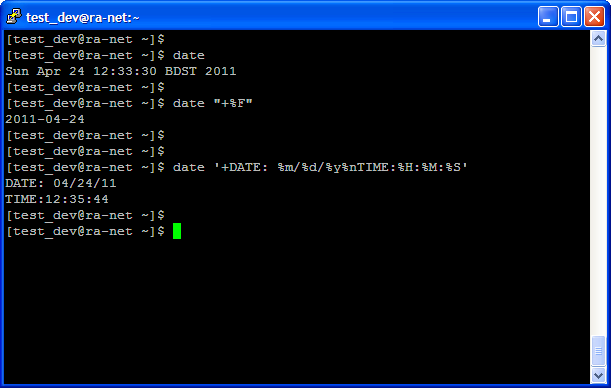 Here "date" is the command to Display Date Information. "date '+%F'" Display Date Information with full format i.e. 'YYYY-MM-DD'. 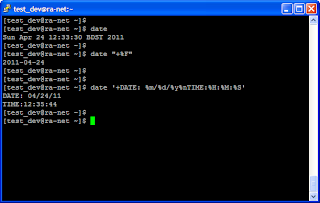 "date '+DATE: %m/%d/%y%nTime :%H:%M:%S'" Display Date Information with Date part as format make new line then time part.